Local publication Manager Magazin cites industry scuttlebutt as saying Apple reached out to BMW in 2014 to discuss the possibility of collaborating on an electric car. 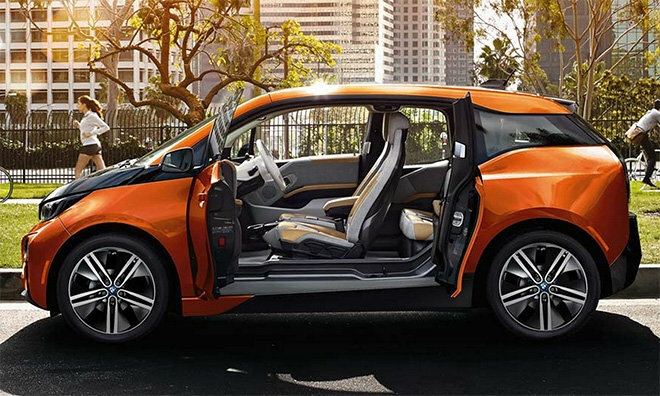 As part of the supposed deal, BMW's i3 commuter car would have served as the basis of Apple's vehicle. It's not clear what automotive elements Apple planned to borrow from BMW, but a simple rebadging is unlikely. Potentially of interest to Apple was the German carmaker's "LifeDrive" architecture, a two-part design that separates i3's passenger cabin from its drivetrain and battery module. Interest in the collaborative effort was such that Apple CEO Tim Cook visited BMW's electric car operations facility in Leipzig with a cadre of senior managers, the report said. It is unclear what Apple brought to the table, aside from almost unlimited investment capital, but the report suggested BMW is concerned that lower-than-expected i3 sales might impact its ability to build out the "i-series" range. Apple might have offered to lend a hand in the battery technology department if rumors of a secret R&D initiative to develop advanced vehicle energy systems are to be believed. A major disadvantage to any current model electric car is range. BMW's i3, for example, gets about 80 miles on a charge or just under double that with an optional two-cylinder gas range extender. Battery technology is at the heart of the issue. Onboard large-format batteries are heavy, expensive and not easily serviced, but there is an ongoing effort within the industry to increase capacity, charge times and overall drivetrain efficiency. In February, Apple was slapped with a lawsuit alleging it illegally poached high-ranking executives from A123, a battery maker whose technology has been applied in high-performance electric land vehicles. Court documents show Apple's recent hires worked on an advanced technology research team at A123 and were so critical to the division that it had to be shut down after their departure. Whispers of Apple's car project, reportedly dubbed "Titan," gained momentum in February when reports claimed the company was working on a self-driving electric vehicle. Subsequent rumors have said the project is gobbling up human resources as management reshuffles talent away from core operating areas. As of February, one report estimated Titan's team consisted of "several hundred" workers. AppleInsider uncovered evidence that Apple was indeed conducting car-related research in March. Apple recently leased a group of buildings located a short drive from its Cupertino, Calif., headquarters and modified the space to support garages, automotive repair bays and testing facilities.